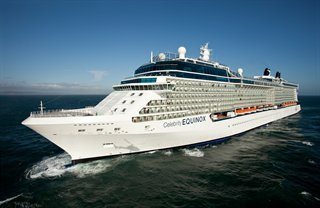 Celebrity EquinoxSM captures the very essence of premium cruising. Even more so after being enhanced with new amenities, some not available on any other ship in the fleet. Now you can enjoy craft beers and comfort food in the new Gastrobar. Or fresh, frozen cocktails on the pool deck at Slush. Shimmering in sophistication from bow to stern, she'll exceed your expectations as soon as you step aboard. Delight in your choice of ten exceptional dining venues. Relax in chic and spacious accommodations. Be surprised to feel grass beneath your feet at the Lawn Club as you sail out to sea. With every imaginable comfort, along with Celebrity's unrivaled guest services, you are bound for an unsurpassed experience no matter your destination.